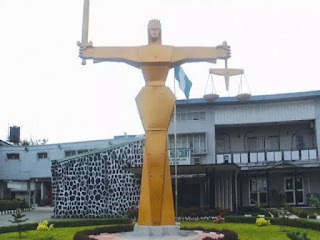 An Ilorin Magistrates’ Court on Friday ordered that two herbalists be remanded in prison for allegedly being in possession of a coffin wrapped with white cloth which contained dangerous charms prepared for money ritual. The police charged Adewole Bashiru and Owoade Olabisi with eing in possession of criminal charms and Advance fee Fraud. Abdullahi also said that the two calabashes were filled with black soap, cowries and other fetish charms were seized from the accused. After the charges were to them, they pleaded not guilty, Dailyggists reports. Abdullahi, then prayed the court to remand the accused persons in prison pending the outcome of investigation.